Despite optimism from the House of Representatives we are never going to rid ourselves of the influence of big money in politics. In America big money is politics. No matter what we do to reform the campaign finance system little will change because there are too many ways to get the word out. That isn’t stopping Democrats from trying to overrule the Supreme Court with a sweeping liberal juggernaut to address politically-motivated threats of a big money plutocracy. Instead of worrying about Republican dark money they should be concerned about what does the real damage. False words are the real problem. Voters can’t make an informed decision when they don’t know the truth. Is it honest and ethical to tell the American people that nullifying an eight-year old Supreme Court decision will take the money out of politics? If we believe McGovern, big money didn’t rule our politics before January 21, 2010. Does anyone capable of voting believe that? The election of outrageous rabble rousers like Alexandria Ocasio-Cortez (D-NY) is proof that there are voices not silenced by big money or Citizens United. If McGovern is correct then dark money-backed Republicans would have kept the House and Democrats would never win a seat. That’s not what is happening. We’re so concerned about where big money comes from that we don’t pay attention to what it allows people to do: sway opinion and actions with carefully veiled propaganda politicians can’t and won’t be held accountable for. If the words are honest, money should not make a difference because voters are acting on the truth. Does money matter if people know they are hearing the truth? On Tuesday night President Trump and his chief Democratic nemeses used national television to fight over whether to spend upwards of $5 billion on a campaign promise. Trump spoke of crimes and threats in a poorly-envisioned diatribe that sounded like the fear-mongering Dems warned us about. We heard a smattering of anecdotes about violence that undercut a justifiable argument that’s all about the numbers. This is propaganda politics that has nothing to do with big money. How do the people know what to believe? Honesty and a simple graphic from Homeland Security would have told the truth on Tuesday. The people didn’t get that. Instead we got one Republican and two Democrats and opposing views that didn’t come from dark money, big money, or the kind of ethics that no House or Senate bill will ever address. Be very suspicious when you hear about a bill that claims to be for the people. Transparency and ethics for the masses are two of the most opaque scams in the congressional playbook. Can a partisan bill that attacks a president be ethical? The phrase “big money in politics” is especially ironic. Democrats who won seats in the House last November wouldn’t be there if they didn’t have the influence of big money behind them. H.R. 1’s massive length extends to nearly 600 pages and still isn’t available on Congress.gov ten days after its January 3, 2019 introduction. Even the 223 Democratic lawmakers who cosponsored probably won’t take the time to study this democracy overhaul line by line. That’s why we have partisan bill summaries. Auteur Sarbanes claims “H.R. 1 Would Help Restore the Promise of Our Democracy.”8 The problem is that it’s a Democratic Party version of democracy based on shamefully obvious propaganda. Elizabeth Warren attacks the same big money with her propaganda-laden effort on behalf of a DOA Senate bill to battle Republicans in the name of ending corruption. If we eliminated every dime from politics we would still have words. Words do the most damage and every politician worth a vote knows that if you tell enough lies, some will eventually be believed. 1. “Bipartisan Constitutional Amendment to Overturn Citizens United Introduced.” Jamie Raskin. January 4, 2019. https://raskin.house.gov/media/press-releases/bipartisan-constitutional-amendment-overturn-citizens-united-introduced, retrieved January 11, 2019. 2. “On First Day of New Congress, McGovern Introduces Bipartisan Constitutional Amendment to Overturn Citizens United.” Jim McGovern. January 4, 2019. https://mcgovern.house.gov/uploadedfiles/116th_democracy_for_all_amendment_background.pdf, retrieved January 8, 2019. 3. “Schumer, Pelosi Joint Statement on the President’s Tuesday Evening Address.” Senate Democrats. January 7, 2019. https://www.democrats.senate.gov/newsroom/press-releases/schumer-pelosi-joint-statement-on-the-presidents-tuesday-evening-address, retrieved January 9, 2019. 4. “Pelosi Remarks at Press Event on Introduction of H.R. 1, For The People Act.” Nancy Pelosi. January 4, 2019. https://www.speaker.gov/newsroom/1419-5/, retrieved January 9, 2019. 5. “221 House Democrats Co-Sponsor H.R. 1, the For the People Act.” John Sarbanes. January 10, 2019. https://democracyreform-sarbanes.house.gov/sites/democracyreformtaskforce.house.gov/files/H.R.%201%20Section-by-Section_FINAL.pdf, retrieved January 10, 2019. 7. “H.R. 1, the For the People Act, Will Clean Up Corruption in Washington, Make It Easier to Vote, and Give Everyday Americans More Power in Our Democracy.” Committee on House Administration. January 4, 2019. https://cha.house.gov/press-release/lofgren-and-new-house-democratic-majority-introduce-historic-anti-corruption-and-fair, retrieved January 7, 2019. 8. “H.R. 1 Would Help Restore the Promise of Our Democracy.” John Sarbanes. 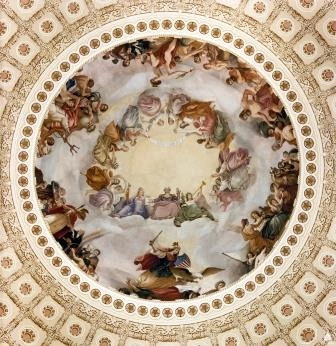 January 8, 2019. https://sarbanes.house.gov/media-center/in-the-news/hr-1-would-help-restore-the-promise-of-our-democracy, retrieved January 10, 2019. 9. 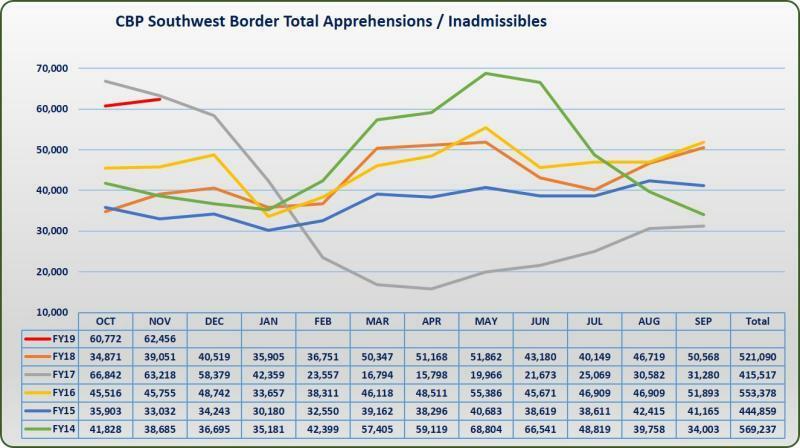 “Southwest Border Migration FY 2019.” U.S. Customs and Border Protection.” https://www.cbp.gov/newsroom/stats/sw-border-migration, retrieved January 12, 2019.